Valerie Finnis founded the Merlin Trust in memory of her son in-law Merlin. She was one of the most inspiring and kind-hearted plantsman of her time. Her wish was to help young gardeners and horticulturists have the opportunity to travel and discover a passion for plants. Valerie died on 17th October 2006 at the age of 81. Four days later the following obituary was written by Anna Pavord for The Independent newspaper. ‘For almost 30 years, Valerie Finnis was a distinguished and charismatic teacher at the Waterperry Horticultural School for Women, near Oxford, founded in 1932 by the fearsomely smocked and gaitered Beatrix Havergal. Miss Havergal believed in the wholesome benefits of practical labour and Finnis, who arrived there as a student in 1942 – she was just 18 years old – had vivid recollections of the 25-acre field into which she was pitched with two land girls. Learning to drive the Ferguson tractor was her first great triumph. She said it was one of the first models that Ferguson ever made. She learnt to drive a lorry there, too, to get their home-grown blackcurrants and potatoes to the covered market in Oxford and crates of Waterperry apples and pears up to Covent Garden market in London. That meant starting out at half past three in the morning. No hardship, she said. The dormitories at Waterperry were colder than ice. Alpine plants became her great speciality and when, after the Second World War, Finnis decided to stay on as a teacher at Waterperry, she set up a nursery there, selling the difficult saxifrages and miffy drabas that alpine gardeners so adore. 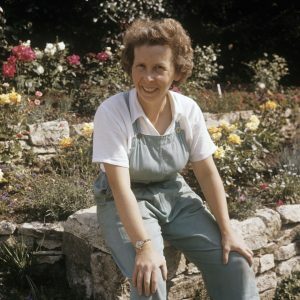 Rockeries had been a rage in the Thirties and Finnis built up a great reputation for her nursery; she became one of the most skilful propagators of demanding plants in England. In the early Fifties she acquired her first camera, an old Rolleiflex given to her by Wilhelm Schacht, curator of the Munich Botanic Garden, who shared her passion for alpine plants. She used that same camera for 40 years, one of the first women to specialise in photographing plants and gardens. She captured many of the gardening icons of that post-war age: Rhoda, Lady Birley (mother of Mark Birley of Annabel’s) rakishly wound in scarves while tending the borders at Charleston, Vita Sackville-West glaring from an archway at Sissinghurst, the painter Cedric Morris among his irises at Benton End in Suffolk, Nancy Lancaster in a stylish cuffed Fifties jacket watering her flowers at Haseley Court in Oxfordshire. 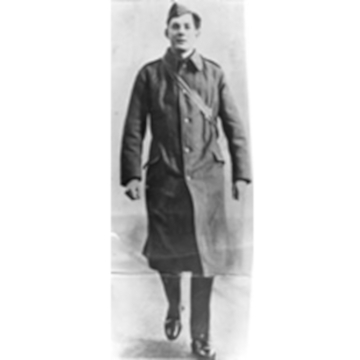 Finnis never took more than one exposure of each subject. Film was too expensive to waste. I was in my awful old dungarees in the potting shed at Waterperry and a voice outside said, “She’s got Gillenia trifoliata.” I came out and replied, “You’re the first person who’s ever known that plant.” That was David. We just sort of fitted in. Her fine collection of alpines went with her to the Dower House, planted out in troughs and paving in the enclosed courtyard by the front door. 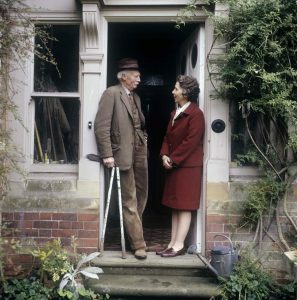 For the next 16 years the Scotts worked together in the garden, digging, scything, propagating, tying in climbers. She was 46 when she married, he 82, but they never thought of age, she said. Alongside the Waterperry Finnis (the girls always called each other by their surnames), the dungarees and digging side, there existed a completely different Finnis, actressy, mischievous, a woman who adored gossip and outrageous hats. She joined the exclusive circle of People who kept Pugs, the last of her pug dogs a beguiling barrel-shaped creature called Sophie. 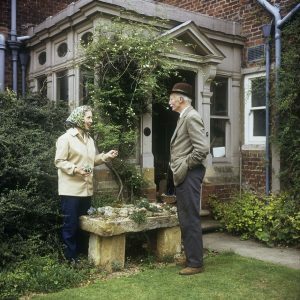 She knew most of the people who mattered in the gardening world and many of them were invited to the Dower House, where they would usually be photographed and asked to write in one of her extraordinary scrap-books. She had a knack for engineering spectacular fallings-out with people, a process she thoroughly enjoyed. She was a great chronicler of her age and a terrific letter-writer. I’ve kept every one she sent me. Her handsome, determined script circles round and round the edges of the writing paper, as new, often surreal thoughts exploded from what she had originally written on the page. For years, she served on various prestigious plant committees of the Royal Horticultural Society and in 1975 was awarded their ultimate accolade, the Victoria Medal of Honour. Several fine plants commemorate her expertise: Viola ‘Boughton Blue’, Hebe cupressoides ‘Boughton Dome’, Muscari ‘Valerie Finnis’. She was an extremely effective ally in the fracas in 1995 that surrounded the RHS’s plans to move their world-class library out of London. That was when she acquired her nickname “Mole”, a role she adored and in which she was astonishingly effective. She was always generous to people starting off in the plant business. Carol Klein of Glebe Cottage Plants (now a television presenter on Gardeners’ World) remembers the first time she showed at the RHS in London, a daunting occasion. “Finnis adored the plants. She noticed things that other people missed.” When at the Chelsea Flower Show, Klein was disappointed to get only a silver medal for a show garden, Finnis came to the stand with a banana inscribed “Gold Medal awarded to Glebe Cottage Plants by Valerie Finnis”. – By Anna Pavord. The Independent. Saturday 21 October 2006 © Anna Pavord 2014. At the early age of six Merlin became interested in caterpillars and butterflies and in time he naturally gained an expertise in the plants on which these caterpillars fed. By the time he was 20 he had seen nearly every species of British butterfly including one rare marsh fritillary in 1939 that had not been seen since 1864. After this particular triumph, he left Oxford University while still an undergraduate to join up for military service on the outbreak of World War II. Tragically, he was killed in action on 9th May 1941 at the age of 22.